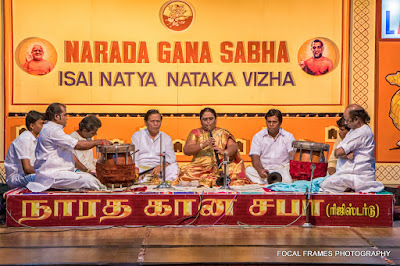 In the days one gets to listen to Nadaswaram concerts only during the inaugurations of the music festivals, the morning concert at Narada Gana Sabha was heartwarming. The performers were Sheik Mahaboob Subhani and Kaleeshabi Subhani along with their son and disciple Ferose Babu. 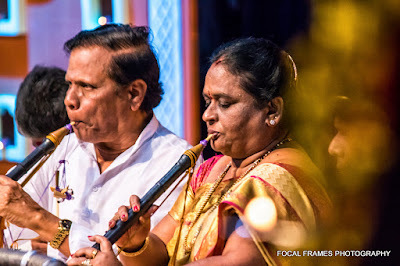 The couple took the audience to an enjoyable mood with their alternate playing of the instrument. The audio was set perfectly right for a morning concert. 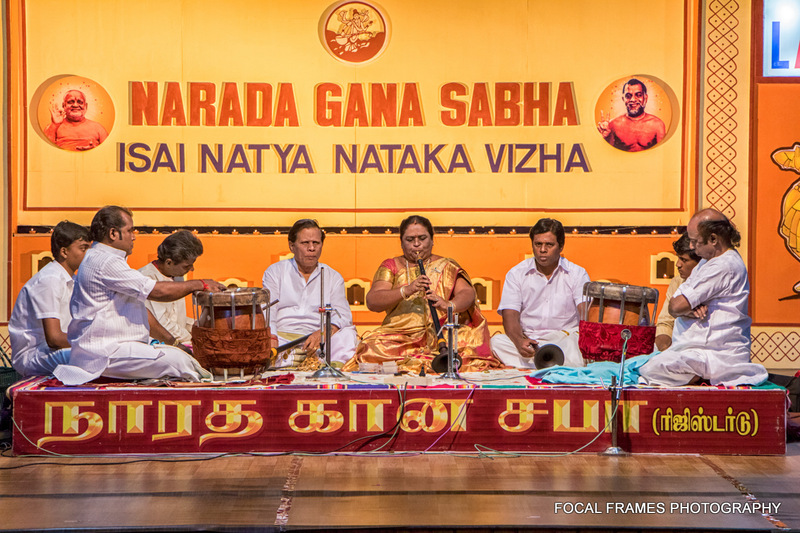 Kambhodhi raga alapana was much appreciated by the audience that they applauded at frequent intervals. A few pictures from the concert.